Malaria is a deadly parasitical infection with a vicious ability to mutate. In the last ten years alone, malaria has killed an estimated 30 million people, the majority of them young children and women living in sub-Saharan Africa. Until the middle of the seventeenth century, little was understood about the nature of the disease, or how to treat it. But then a legend began to circulate about a beautiful Spanish countess, the Condesa de Chinchon, who was cured of malaria during her stay in Peru by drinking an infusion made from the bark of a miraculous tree. 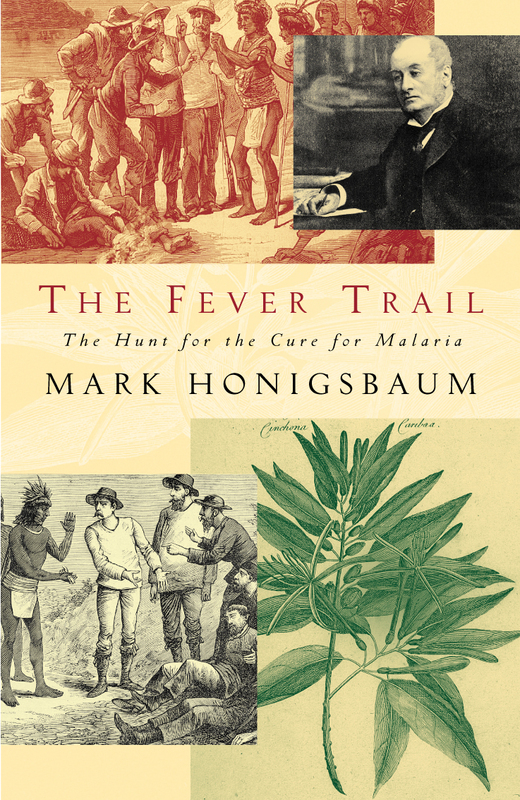 The Fever Trail is the harrowing story of the search for the elusive cinchona tree - the only source of quinine - and the trio of intrepid explorers who were given the task of transporting it to the colonies. On a quest that was to absorb much of their lives, Richard Spruce, Charles Ledger and Sir Clements Markham endeavoured to rid the world of malaria. They faced the immense dangers of the uncharted mountain terrain of the Andes, the perils of untrustworthy guides, the difficulties of finding the variety of the cinchona tree with the highest concentration of quinine in its bark, and the hazards of smuggling seeds and cuttings out of Peru and Bolivia. But in spite of their efforts, quinine and its chemical derivatives were successful in controlling malaria for only a limited time. Today, drug-resistant strains of the parasitic disease are on the increase, putting the latest plant-derived drugs in jeopardy. The result is the hunt continues - this time for a vaccine. Part scientific adventure, part historical mystery, The Fever Trail is a gripping account of a deadly disease that continues to elude all efforts to contain it. ‘An engaging account of one of the great sagas of plant exploration...It is a rich and astonishing tapestry, a story of adventure and intrigue, of wealth and power, played out against a backdrop of pharmacological wizardry and botanical splendour’. -- Wade Davis, Explorer-in-Residence, National Geographic Society. ‘A lush tale of buccaneer botanists and heroic hypochondriacs-a screen treatment that has the advantage of being absolutely true’, -- Scott Brown, Entertainment Weekly. ‘Reads like a 19th century thriller set in South America, filled with high adventure and botanical wonder, crisscrossing snow-capped mountains and jungle valleys’. -- Claire Panosian Dunavan, Los Angeles Times. ‘Honigsbaum has found a terrific story and tells it with his dial tuned to both its historical importance and its dramatic power]. -- Anthony Brandt, National Geographic.